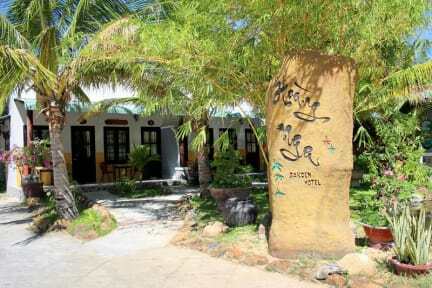 For travelers who want to take in the sights and sounds of Phan Thiet, Hoang Nga Guest House is the perfect choice. The excitement of the city center is only 19.2 km away. With its convenient location, the hotel offers easy access to the city's must-see destinations. The facilities and services provided by Hoang Nga Guest House ensure a pleasant stay for guests. A selection of top-class facilities such as free Wi-Fi in all rooms, 24-hour front desk, express check-in/check-out, luggage storage, Wi-Fi in public areas can be enjoyed at the hotel. Hoang Nga Guest House is home to 15 bedrooms. All are tastefully furnished and many even provide such comforts as internet access – wireless, internet access – wireless (complimentary), air conditioning, desk, mini bar. The hotel's garden, karaoke are ideal places to relax and unwind after a busy day. 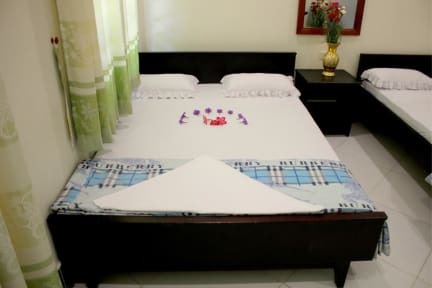 Whatever your reason for visiting Phan Thiet, the Hoang Nga Guest House is the perfect venue for an exhilarating and exciting break away. 3. Customers can cancel their reservation free of charge up to 2 days before arrival (local time).